Okay, I'm not really... but I sure do feel like one when I wear my new glasses. You see, although I've been wearing glasses since I was 10, I've never bought a fashionable pair. Since I wear my contacts every day, my glasses are usually reserved for night time, weekend mornings or when I'm sick. They've always been inexpensive, simple and small framed - never much to look at. I've always wanted to experiment with new looks but I just never took the time or the money to buy nicer frames. However all that that changed a few weeks ago when I found Firmoo. Firmoo is an online optical store that offers a bazillion frame choices, colors, sizes etc.. Well not quite that many but there's definitely a lot to choose from. They're running a promotion where your 1st order of frames are free (all you pay for is the shipping). I knew I couldn't pass up the opportunity to score a new pair and try something new! I've always loved those over-sized, masculine (surprise, surprise), wayfarer Buddy Holly-esque frames. So I finally took the plunge and got a pair! LOVE the big glasses! They look fantastic on you! which glasses are those? 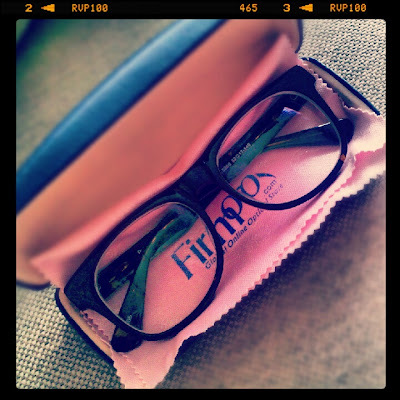 i tried to find hipster glasses on firmoo and i thought mine might turn out to be hipster but not quite! I'm a big glasses girl too. 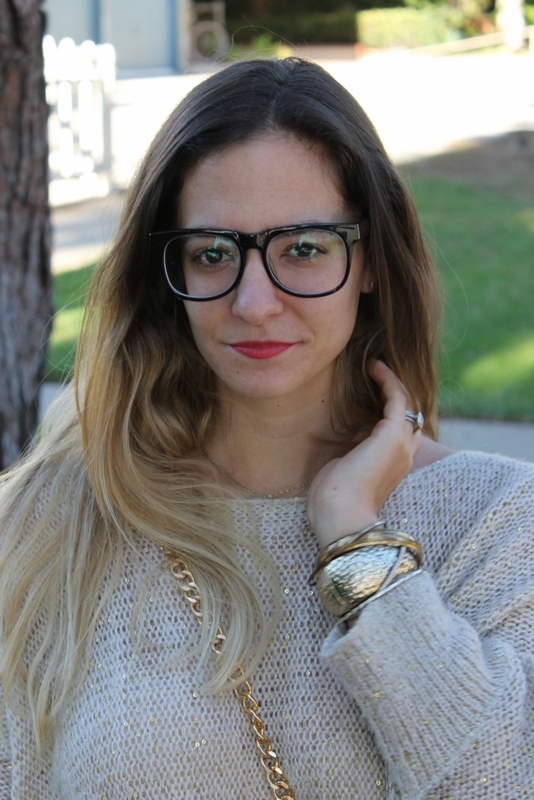 I've got five pairs from Warby Parker from the past two years! You're one of those lucky girls that looks adorable in glasses! I love these on you. So hipster chic. I feel like I may have the exact same boots. 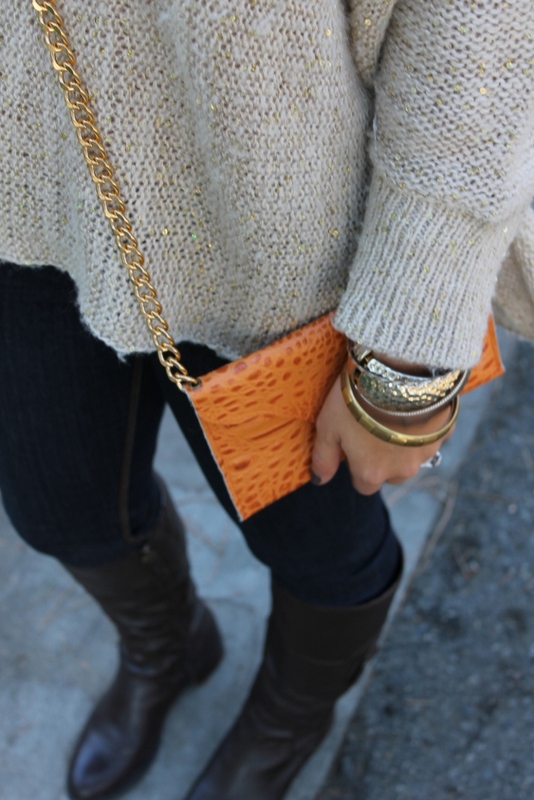 Love that clutch and the optional gold chain! Ok so cute! I'm in the market for new glasses so I'm so glad I followed in time to see this post! I really love your blog, and every of your looks! I will be very pleased!